This activity has been specially designed so you can be the protagonist of an ancient tradition: viticulture. In other words, the cultivation of grapevines and the production of wine. 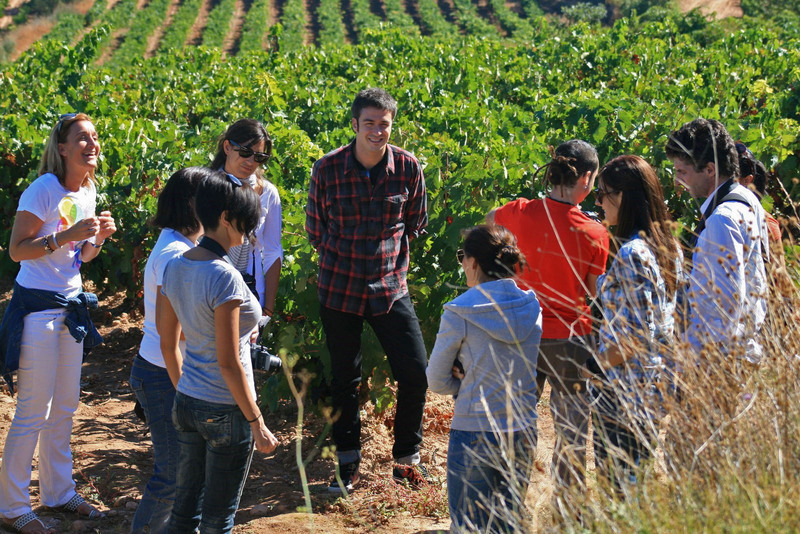 With the guidance of a professional you’ll be able to carry out different activities in the vineyards and winery, as well as acquire in-depth knowledge of all the work associated to producing a good Rioja wine. 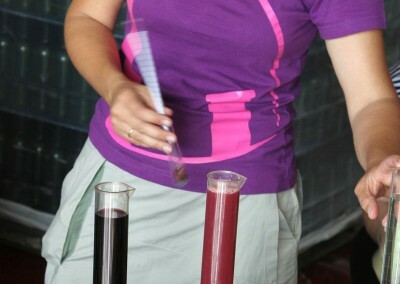 Spend a whole morning participating in the tasks associated to viticulture in the vineyard, and winemaking in the winery. After working in the vineyard, why don’t you enjoy an appetiser made with Rioja products before you visit the winery? 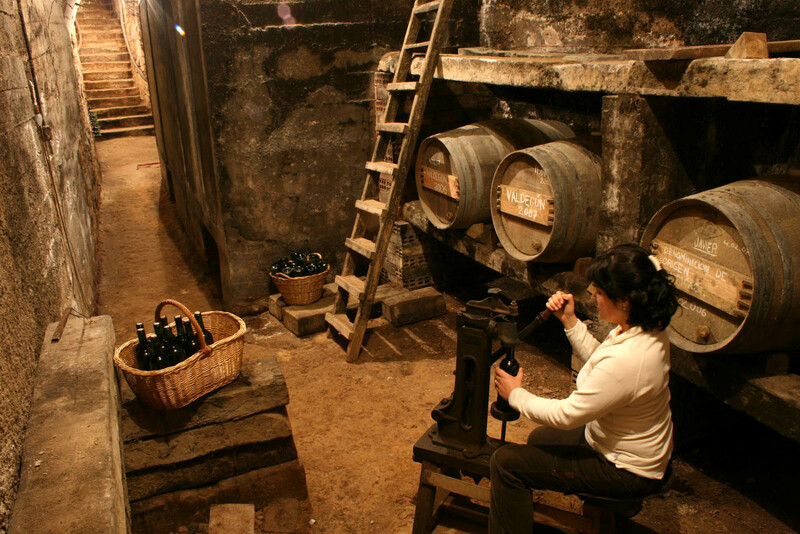 Visit a traditional family winery of Rioja, with underground cellars dating back to the 16th century. 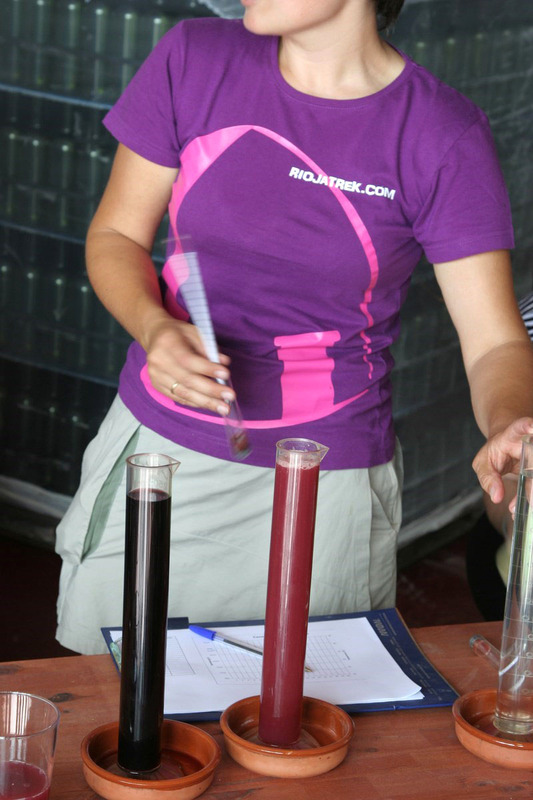 Carry out experiments to understand the wine fermentation processes. Taste wines right out of the barrels to observe their evolution during the aging process and choose the one you like best. Bottle your wine, cork and label the bottle and take it with you to enjoy at home. A picture is worth a thousand words. Look at us having fun! Are you going to bring your children with you? We change places all the time so they don’t get bored. We discover insects, plants and trees on our walk through the vineyards. We ask them to help us with our experiments in the winery. We take them to the wine cellar and tell them a story about wine. A different kind of excursion, surrounded by nature, with a visit to a simply charming, small family winery. 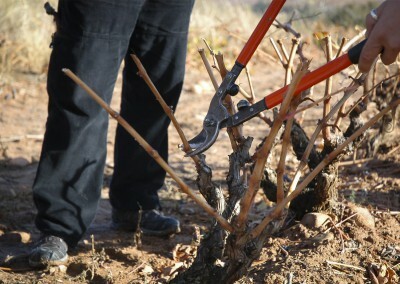 Riojatrek successfully transmits its love for the land and wine. Ideal for families. My daughters had loads of fun. On a cold, windy day we enjoyed a great experience that, thanks to the team at Riojatrek, has helped us understand how difficult it is to make wine and how fascinating the world that surrounds it is. The workshop had everything, including a mug of soup, brunch and, of course, wine. On a cold, windy day we enjoyed a great experience that, thanks to the team at Riojatrek, has helped us understand how difficult it is to make wine and how fascinating the world that surrounds it is. The workshop had everything, including a mug of soup, brunch and, of course, wine. Thank you so much for giving us such a wonderful time. 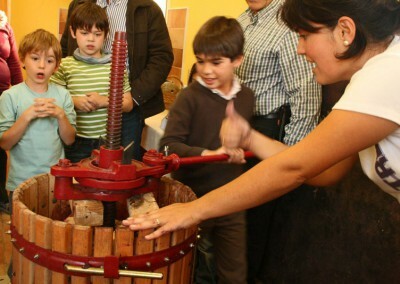 This weekend we were in La Rioja with our children and we thought it would be a good idea to attend a wine tour workshop. 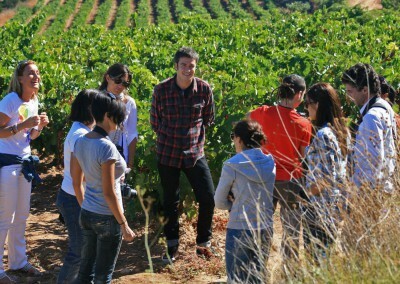 Diego gave us a great tour where we could enjoy a lot of time outside in the open air among the vineyards. We also visited a wine cellar and were given an appetiser. The explanations are good and it’s obvious that Diego has in-depth knowledge of the subject. We had a great time. Very recommendable! We had the experience in April and we all loved it. We were two couples with four children and it’s perfect for both children and adults. Diego was charming. The visit was meant to last three hours but we were there for four. He showed us the vineyards, we had a mid-morning meal out in the open air, we drank out of a wineskin… then he showed us the winery, the winemaking process, he taught the children how to graft grapevines… If we ever go back to La Rioja, we’ll definitely repeat the experience!! It was a beautiful day and we were able to enjoy an unforgettable experience. We’ll never forget being surrounded by vineyards, learning how they used to plant vines in the olden days, enjoying a delicious appetiser and visiting this small winery. Both adults and children had lots of fun. Long but entertaining and full of information. We had a great time. 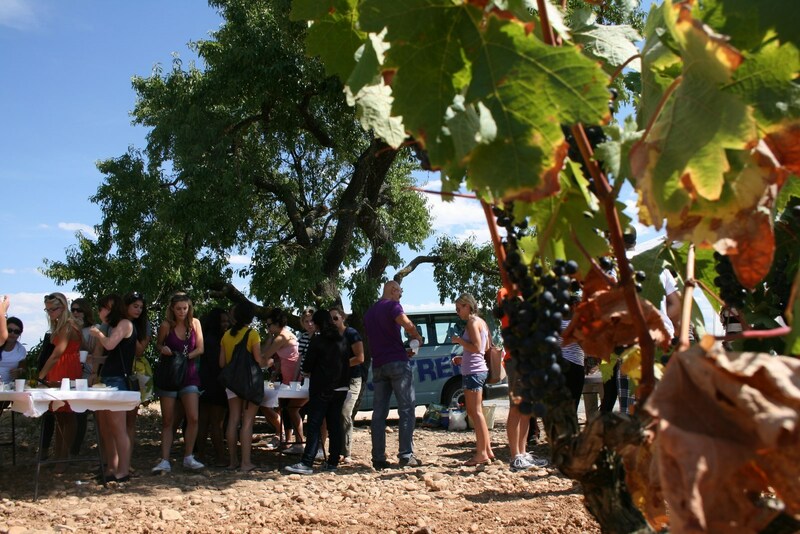 We like wine and we learnt a lot about the cultivation and winemaking process. It’s a great experience for all ages. The instructor (Diego) was really nice and he explained everything very well. The children had no trouble understanding him. Despite the rain, Diego organised really interesting activities, density of liquids, graft preparation… And, of course, the brunch was wonderful! Especially drinking out of a wineskin! Our tour lasted nearly 5 hours. We were with Diego who showed us and explained in a very entertaining way everything associated to the marvellous world of wine. Recommendable for both people who understand the subject, as well as novices, young people, foreigners or locals. A very interesting day. It wasn’t the first time we had visited a winery and attended a tasting event but we had never learnt so much about vineyards, grapes and Rioja wines as on this wine tour. We loved it and the children had a lovely time. Despite the cold weather during the long weekend of the Feast of the Immaculate Conception, we enjoyed a marvellous morning surrounded by the vineyards of Fuenmayor. We were with a 4-year-old girl who had quite a good time (we had a great time). What appealed to us the most is the fact the winery is so friendly and it’s obvious they take the greatest care to ensure everything goes well. Congratulations. 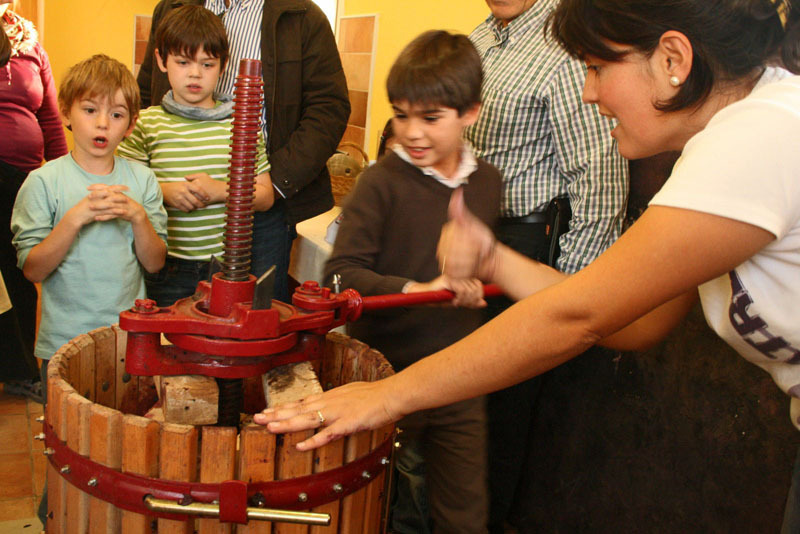 We went so our children could start learning about ‘the culture of wine’... and it was a wise decision: walks around the vineyards, explanations about the grapes, the process in the field… The best thing is that it’s somewhat different to ‘typical’ visits to wineries. A good choice for anyone who wants to do something different related to wine. Great! We were a group of adults who had already been to large wineries and tourist organisations but this was the first time we had approached the world of wine in such a friendly and familiar way. 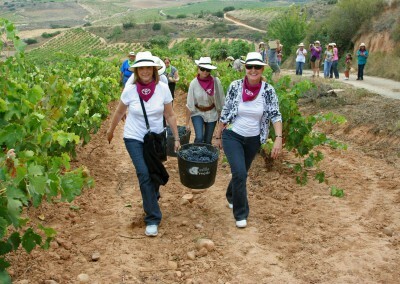 It was the best part of our tour around La Rioja; we have fond memories of the tour and we loved the workshop. There’s no doubt that it was the part of our trip where we learned the most about winemaking, because you see what happens step by step and participate throughout the whole process: Diego’s explanations were full of details and you feel great when they ask you to join in all the time. I recommend it to anyone who visits the area. 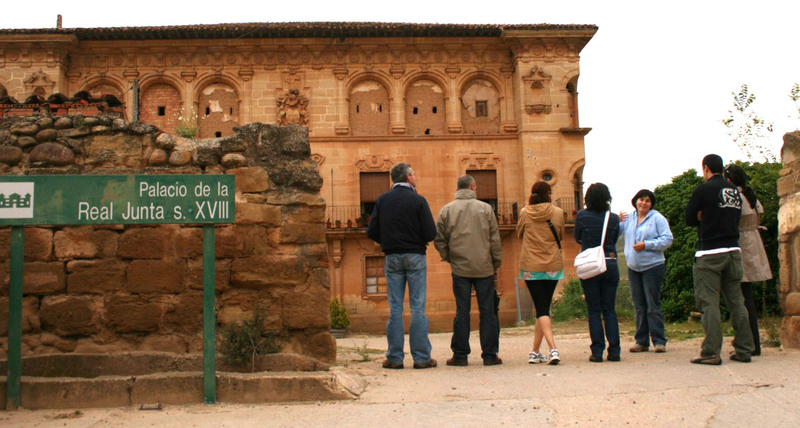 In Fuenmayor, a village of about three thousand inhabitants located only 12 km from Logroño. Fuenmayor is one of the most important places in the history of Rioja wine. 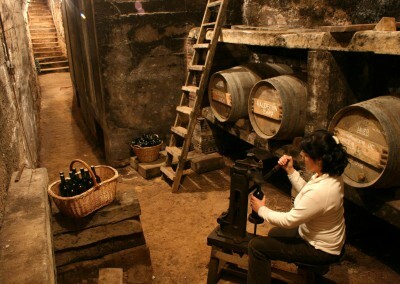 At present there are over twelve Rioja wineries, some of which are more than 100 years old. There are also numerous restaurants. GPS coordinates: 42.467 N, 2.562 W.
If you want to do the activity you need to book in advance. Can I do the activity with children? Yes. 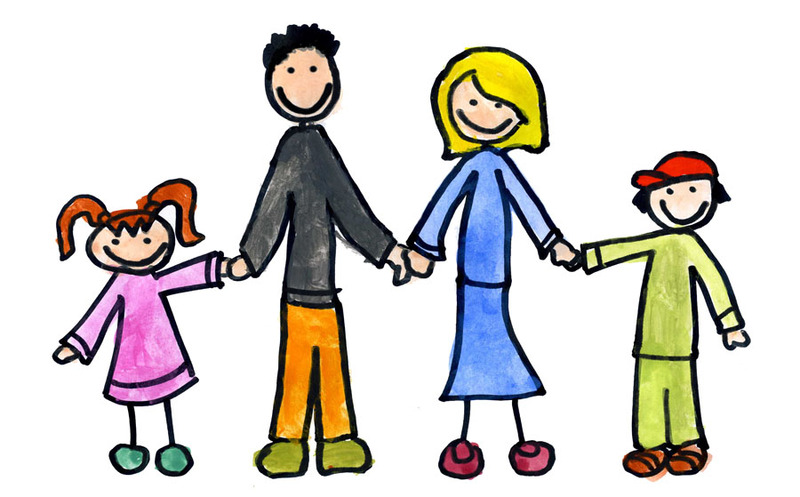 If you come as a family we adapt the activity according to the children’s ages. Small children only a year old, or even younger babies, have joined in the wine tour either sitting in their strollers or baby carriers. They obviously understand better and enjoy themselves more when they are at least two or three years old. Although the visit lasts about three hours, children don’t have time to get bored because they start off frolicking about during the walk through the vineyard, looking at plants, little animals and helping their parents. Then they help us with the experiments in the winery and they are amazed by the story we tell them in the underground wine cellar and, finally, they help the grown-ups to bottle the wine. The activity is a real adventure for children. I’m travelling alone. Can I do the activity? Yes. 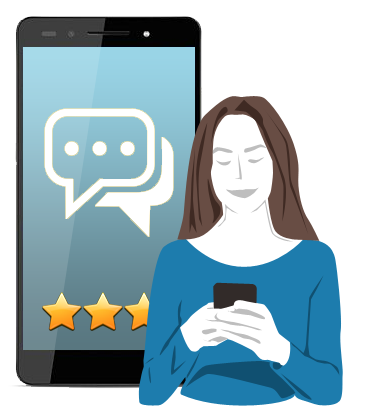 We usually require a minimum number of people to do the activity but if you’re travelling alone we’ll try to fit you in an existing group. Is lunch offered during the wine tour? No. After the group activity in the vineyards and before going to the winery, visitors are offered an appetiser with Rioja products: chorizo, paté, wine… It isn’t lunch, more like a mid-morning snack. Is the wine tour appropriate for people with reduced mobility (elderly people, children’s strollers, wheelchairs, etc.)? 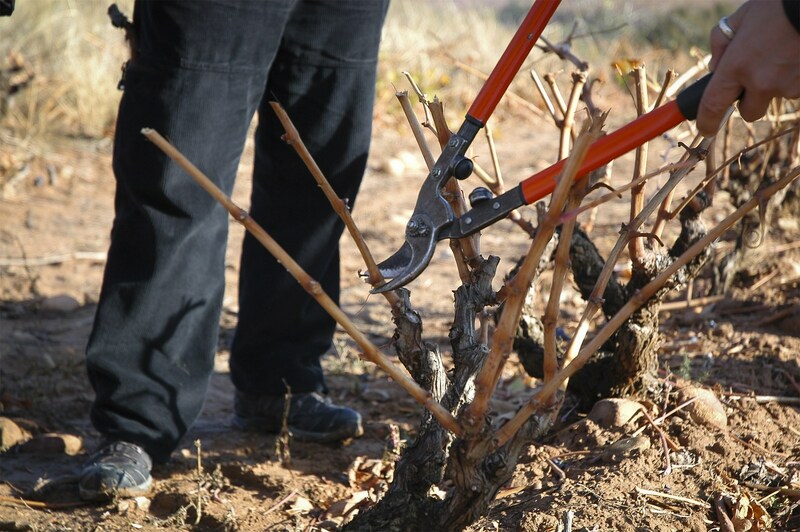 The activity starts off in the vineyards of Fuenmayor and then continues in our harvester’s winery. 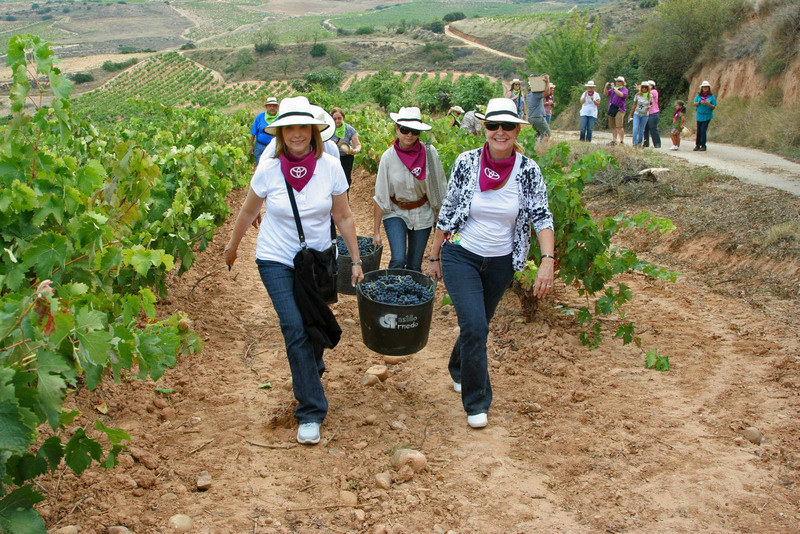 The walk through the vineyards is in a flat and safe area and takes place at a relaxed pace to enable visitors to listen to the corresponding explanations. However, the path is quite stony and unsuitable for wheelchairs, although children’s strollers can be wheeled along without too much trouble. In the winery, there are some steps that lead down to the 16th-century underground cellar but because there are no mechanical escalators, wheelchairs cannot enter inside. How long in advance must I book an activity? To ensure you can take part in the activity, it is a good idea to make your booking at least one or two weeks in advance. On certain dates with increased demand, such as Easter week, national holidays and throughout the harvesting season (September and October) we recommend booking at least one month in advance. What is the name of the winery we visit? 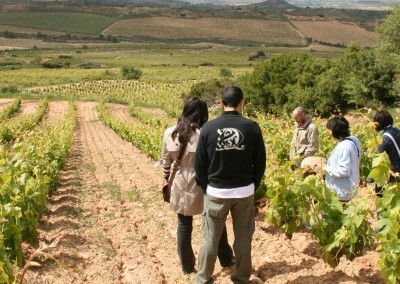 The wine tour includes a visit to the winery owned by the family of Marina, the manager of Riojatrek. It is a small traditional harvester’s winery, located in the district of El Cristo in Fuenmayor, which is built upon a 16th-century cellar dug out in the rock. It doesn’t have a commercial name and neither does it bottle wine for selling to the public. The wine tour takes place in the open air (in the vineyards) and inside (in the winery). In the event of rain, we start the visit in the winery and if after it has finished the bad weather continues, we do a different activity related to viticulture inside the winery. Is it possible to join in the harvest or tread grapes? Yes, as long as you come during the harvesting season. There isn’t a set date for harvesting as it depends on the weather. 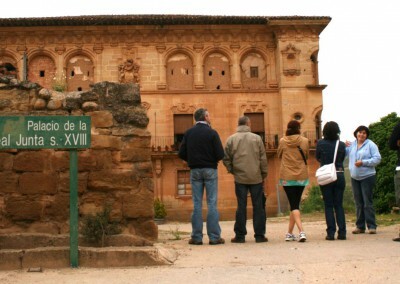 In La Rioja it is usually carried out at the end of September or beginning of October. However, throughout October, even if the harvest has finished, visitors can glean the vines, which consists of harvesting the small bunches of grapes that weren’t ripe when the harvesting took place. Can I give someone the activity as a present? Yes. Ask us for a gift voucher so your family members or friends can redeem it for the activity. Yes. And we don’t mind if the future bride or groom dress up. All the hen and stag party groups we’ve had to date have been respectful and participated with great interest for the wine. All the same, to prevent other people from feeling uncomfortable we usually arrange exclusive groups for this kind of party, so please let us know when you make your booking.